Once upon a time, Symbian was everywhere. It was the de facto operating system for mobile phones for years, before the iPhone was a twinkle in Steve Jobs' eye. And now it's gone, with Nokia officially putting the humble operating system into maintenance mode. The decision to kill off Symbian has been in the works for a while, although nobody quite expected for Nokia to pull the plug with such a whimper. Following its last update, FP2, a user of Nokia's Drive app for the Nokia E7 lodged a bug report, only to get a response that Symbian is now in maintenance mode, and no new features will be added to the OS from here on out. "Thank you for your improvement ideas, thus (sic) Symbian is in maintenance mode and no new features will be implement[ed] without extremely good reason (business case). We have written down your ideas for future development if there is a chance that new features will be released," read the response. 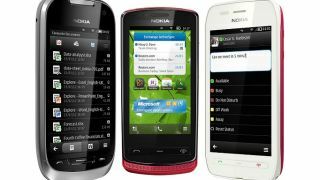 In many regards, Nokia's commitment to Symbian has been its achilles heel in the smartphone race. While the FInns pioneered early smartphones with the N95 and N96, it was totally unprepared for Apple, then Google's entry into the smartphone market. Eventually, rapidly declining Symbian sales saw the phone manufacturer take the step of partnering with Microsoft to exclusively release Windows Phone devices. It also decided to rename the operating system as "Nokia Belle". The name change did little to salvage market share, leading to the decision to put the operating system into maintenance mode. With no updates to the operating system other than bug fixes, this is undoubtedly the end of the line for the mobile operating system that drove mobile phones into the mainstream. Vale, Symbian. Rest in peace.